Meanwhile in the United States, George Thorndike Angell formed the Massachusetts Society for the Prevention of Cruelty to Animals in 1868, the second humane organization in the country. He was prompted to start the MSPCA after hearing about two horses dying during a brutal 40-mile race. Just three years later, 24 cities across the U.S. had established similar animal protection organizations. Angell spent years searching for a book that would inspire people to treat animals humanely, much the way Uncle Tom’s Cabin helped advance the abolitionist movement that eventually led to the ban on human slavery. 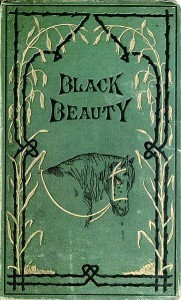 In 1890, someone brought Black Beauty to Angell’s attention and he knew it was the right book to further his cause. 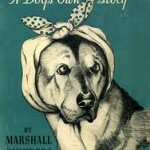 By the time he died in 1909, Angell had distributed around two million copies of the book to schoolchildren. Shortly after Angell’s discovery, Black Beauty inspired a writing contest to find its equivalent for dogs. The winner was Margaret Marshall Saunders’ Beautiful Joe. 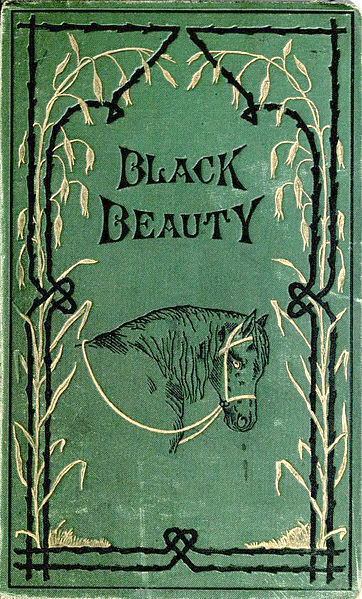 Written from the perspective of a horse in Victorian England, Black Beauty tells the story of a colt who grows up and experiences happiness, mistreatment, and great sadness as he is passed from owner to owner. He suffers damaged knees, the use of a fashionable bearing rein that holds his head high at the risk of hurting his back, the loss of his equine friends, and overwork in the hands of cruel or ignorant owners. Eventually he finds a home where he can retire and be happy, but his story reveals that he is one of the luckier horses of his era. Anna Sewell was one of many in the U.S. and Great Britain who were independently thinking about the plight of animals in the mid-1800s, but it took a story like Black Beauty to bring them together and to reach a younger generation. It was hard to ignore how important, and yet how disregarded, horses were in society at that time. Once people began to advocate for horses, it was a small step for them to start recognizing other animals’ well-being. The humane movement picked up steam in the 20th century, but there was still plenty of work to do to ensure that animals were treated with dignity. Next up… the anti-cruelty movement goes to Hollywood. 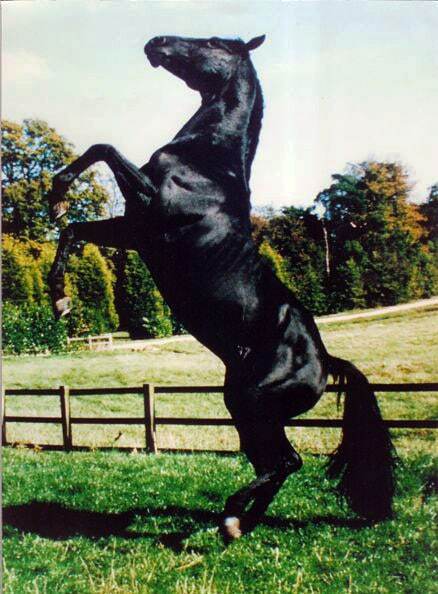 Below is the trailer for the 1994 film version of Black Beauty. Here Sewell is giving them a voice, and is hoping that such an expression will be enough to change society s behavior for the better. In addition to this moral education of having good character and not treating animals with cruelty, Sewell includes religious education in her book.